On October 1st and 2nd our site held "Safety Days!" After completing a site wide exercise involving various pieces of safety equipment, the team enjoyed a BBQ lunch cooked and served by our leadership team. No fire extinguishers were discharged during the BBQ but the head chef wore Nomex just in case :+). Sept. 8, 2018, 3:42 p.m.
Our chief custodian Bernice A. is the queen of gleam and clean! Before our site formally adopted TPM, Bernice kept our admin building looking like a shiny new penny! Thanks Bernice :+)! Hold the door! The leadership team at Gibbons Peroxide has always believed in an open and accessible culture. So much so that the site manager's office has never had a door on it! Legend has it that the original site manager had several "lively discussions" with the construction QC superintendent, who insisted the office have a door since there was one shown on the building plan. So before it was stylishly cultish to say "hold the door," it first happened at Gibbons :+). In the future, how will we communicate? Susan could pop up as a hologram and I could join via virtual reality. How do you think we'll meet and collaborate in the future? 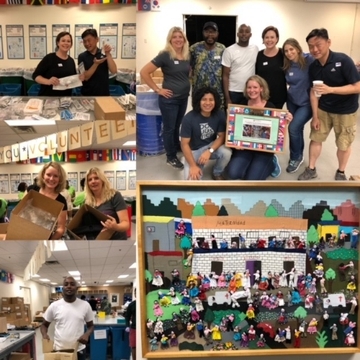 Aug. 30, 2018, 9:39 p.m.
Aug. 27, 2018, 8:57 p.m.
Last Saturday, our team brought along some friends and helped MedShare sorting and packaging surplus medical supplies to be sent to hospitals and makeshift clinics in need around the world. Aug. 20, 2018, 7:21 p.m. 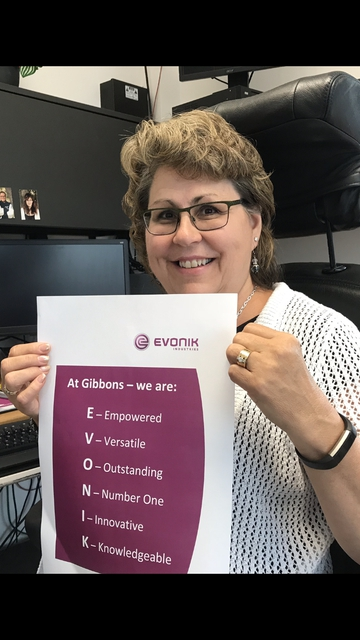 I am so happy to be a family member of Evonik again. 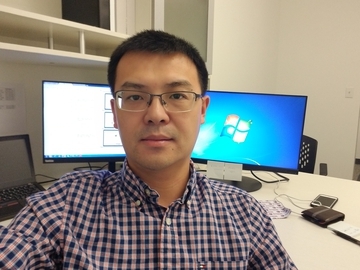 I joined Evonik Great China in 2008 and resigned to pursue a Ph.D. degree in US. Now I am back!! Aug. 7, 2018, 10:30 p.m. Even though our team doesn't always move in unison and we may hit the odd bump along the way, we can "think on our seat" and safely accomplish our tasks together! Aug. 7, 2018, 9:18 p.m.
At small sites like ours, we rely heavily on a dedicated core of long term contractors. This is Bonnie Z., our contract admin assistant who looks after everything from A to Z!